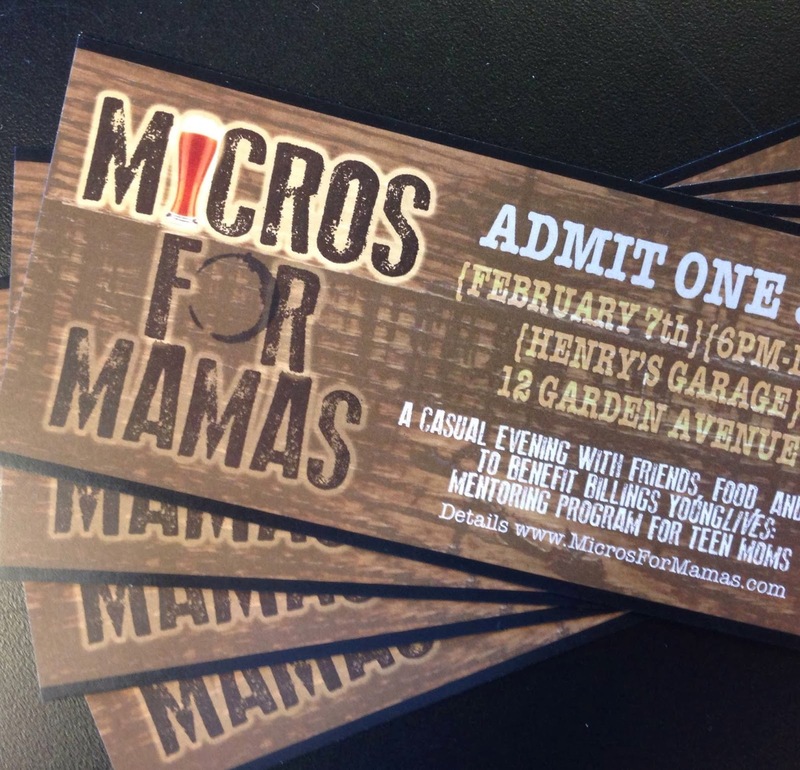 The first-ever Billings Micros for Mamas is a beer tasting, dinner, and silent auction to raise funds for Billings YoungLives, a non-profit dedicated to supporting teen mothers and their babies. The event takes place this Friday (February 7) from 6:00 p.m. until 10:30 p.m. at Henry's Garage (12 Garden Ave.) in Billings. Tickets are $30 each, or a table for six is $160 (or a table for eight is $200). The event features entertainment by a live band, Alder Lights, and dinner provided by Blues BBQ. Silent auction packages include many Montana-made items, and 24 different craft beers to choose from and enjoy from a commemorative pint glass. *Photo courtesy Micros for Mamas Facebook Page.